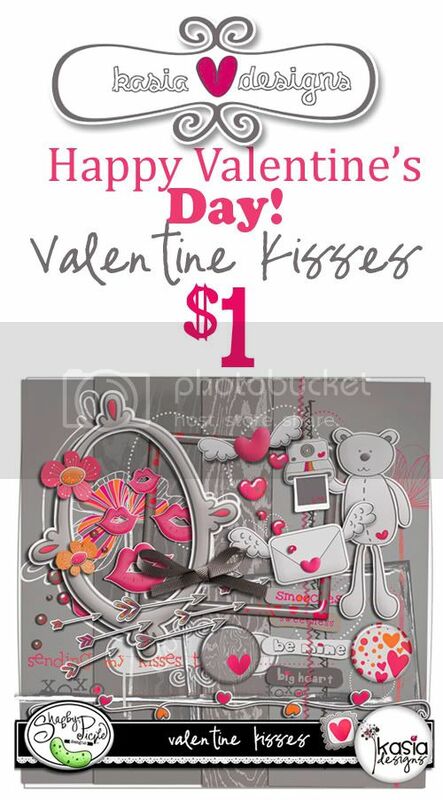 Kasia Designs: celebrate valentine's day with Valentine Kisses for $1 only!!!!! celebrate valentine's day with Valentine Kisses for $1 only!!!!! I have a little surprise for you at my store :) You can grab Valentine's Kisses for $1 ONLY!!! enjoy!!!! What an awesome deal, it's super cute! Have a great weekend! Wonderful! Have a nice day! this kit is soo gorgeous! i allready made a page!! fabulous layout ,happy valentine's day for you !!!!!!! !